Fermentation is the process of converting carbohydrates into alcohol using yeast under oxygen-less conditions. Wine is what happens when unmodified grape juice is fermented. The red in wine is formed when grape skin is included during the fermentation process. White wine can be made from any type of grape as the skin is separated. Recent studies have shown that drinking a glass of red wine daily is beneficial to health. Moderate consumption will help protect against cancer, heart diseases, improve cholesterol levels and blood pressure. Moderate in US means 1 glass for women, 2 glasses for men. On the other hand, UK and EU defines moderation as 3 glasses for women and 4 glasses for men. The French seemed to know a little more about the secrets behind red wine. In a study that compared French and German wines, the French ones delivered higher results as their wine contained much more antioxidants. This holds true for the ‘French Paradox’. It refers to the lower incidence of coronary heart disease in France than in the USA despite high levels of saturated fat in the traditional French diet. Proof is inconclusive as there is a vast difference in diets. 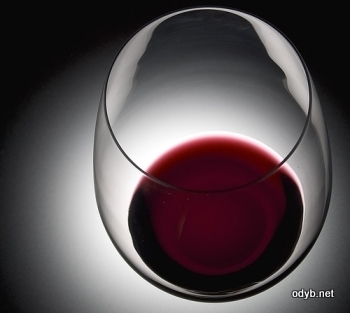 Actually the 2 main components responsible for the red wine’s healing powers are the antioxidant and resveratrol. Red wines contain the type of antioxidants that protects and prevents diseases while resveratrol is a chemical that exerts a range of both cardioprotective as well as chemoprotective mechanisms. Resveratrol is produced naturally by grape skins in response to fungal infection, which includes exposure to yeast during fermentation. As white wine has minimal contact with grape skins during this process, it generally contains lower levels of resveratrol. Other beneficial compounds include polyphenols and flavonoids. Excessive drinking doesn’t yield any health benefit. Excessive consumption of alcohol including wine can cause some diseases including cirrhosis of the liver and alcoholism. The key to reaping the health benefits of red wine is moderation. A glass or 2 is already enough to decrease the risk of heart disease, cancer and stroke. There were several studies which seem to proof the healthiness of read wine. Most of the studies were financed by the wine lobby. Most of the studies just argued, that people who drank red wine or wine in general were healthier than people who didn’t. What if people who prefer to drink wine care about their health in general? Previous Previous post: Cold, Hot Or Warm Water?